James Abbott McNeill Whistler was a leading artist in his day. He was forward-thinking and unapologetic in his belief in art for art’s sake. Meanwhile he was a skillful and diverse painter who explored voraciously throughout his career. His legacy continues to inspire steer and inspire contemporary painters. Enjoy these painting lessons pulled directly from his writings and personal letters as he delves into the details of how to create a stirring portrait. 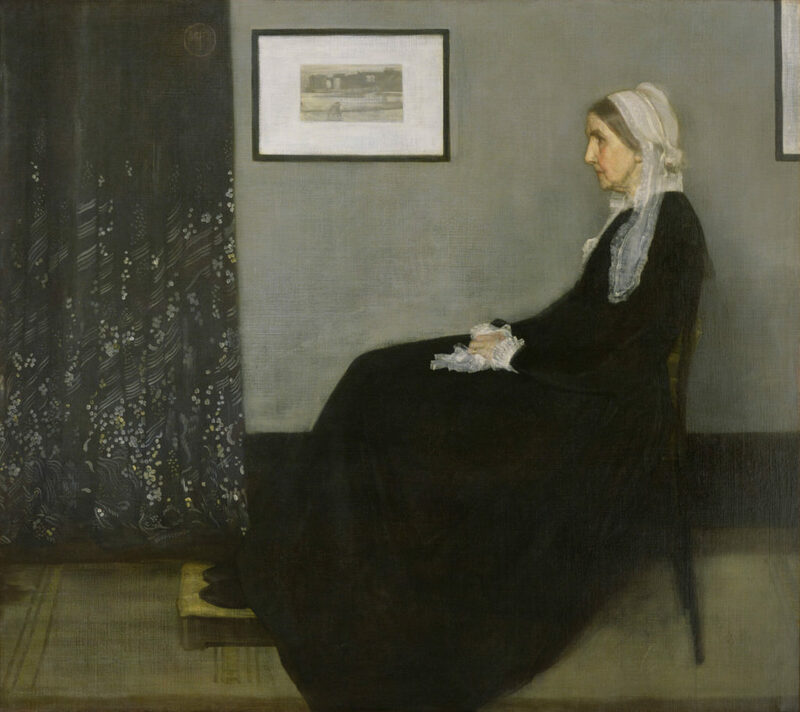 In a letter published in 1878 in the London periodical, The World, Whistler sounded off about his ideas about painting, art and specifically the famed portrait of his mother, Arrangement in Grey and Black No.1. Take the picture of my mother, exhibited at the Royal Academy as an “Arrangement in Grey and Black.” Now that is what it is. To me it is interesting as a picture of my mother; but what can or ought the public to care about the identity of the portrait? The reasons this portrait was never finished by Whistler are unknown but offer observers the opportunity to see his painting process at work. First take note of how the artist focused his attention. The figure’s dress is just a pencil sketch. The background is roughed in and the sitter’s face is sensitively modeled. Working out from the most important parts of the painting, Whistler created a work that, though unfinished, still has star power. 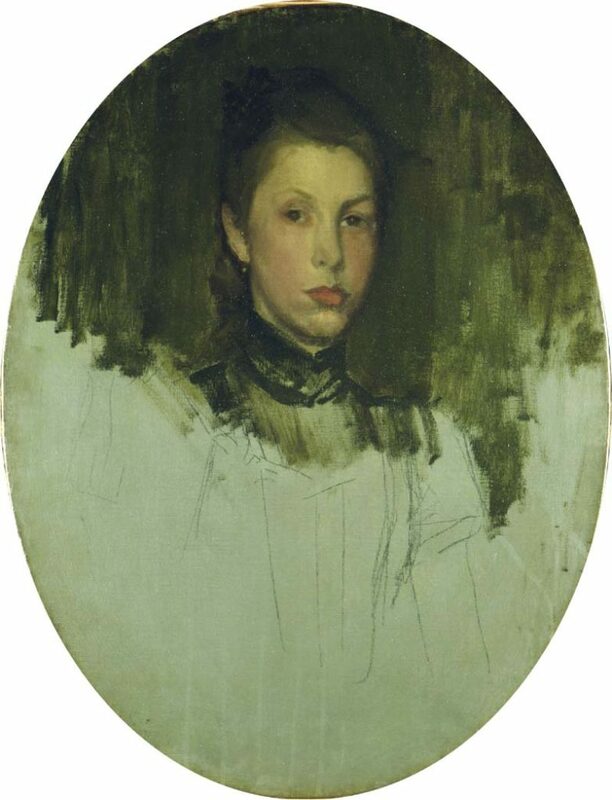 A Paris Model: An unfinished portrait by Whistler held in The Hunterian at the University of Glasgow. In a letter to a budding artist and nephew, Thomas Whistler, Whistler responded to questions about how to paint a portrait and here are the highlights. Indicate the head with charcoal – that is find its place on the canvass – and then draw it lightly with a brush – you might use a little grey for this purpose made of Ivory black – white – venetian red & a little yellow ochre. *Whistler double underlined the word ‘color.’ This method of seeing color in shadows is related to the theories behind French impressionism. Some of Whistler’s precepts, such as the low tone of flesh colors, were later expanded and published as ‘Propositions’. Others he ignored in his own practice. For instance, he rubbed out unsatisfactory work immediately, which is why his portraits took so long to complete. With Whistler’s teachings ringing in your ears, take your inspirations even further by painting along as you skim through Mostly Monochrome. A book devoted to the portrait practice similar to what Whistler was advising his nephew on. Start exploring how to create a moving portrait simply and elegantly, with just a few colors. Whistler would most definitely approve.